These killers, the kind of people who shoot up and bomb mosques, hate Christianity as much as they hate Islam. 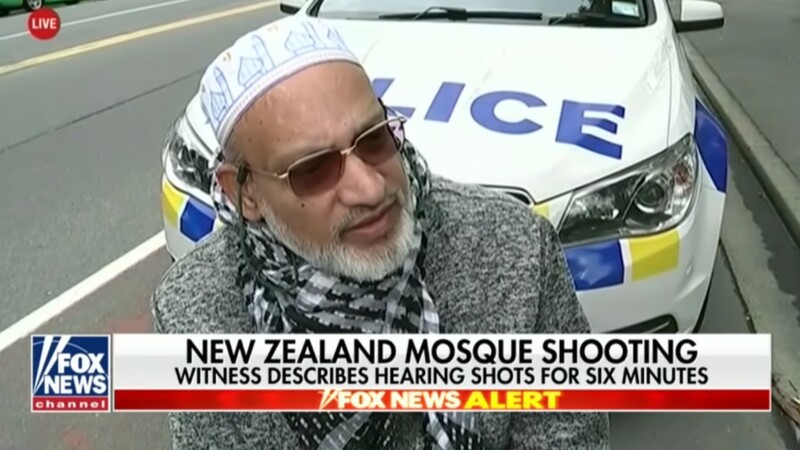 The man charged with the New Zealand shooting has put out a “jumbled” 94-page manifesto. It makes one thing very clear. He did not act out of Christian beliefs of any kind, nor does he make that claim. Like Anders Behring Breivik before him, the Norway mass murderer he admired, the shooter appears to be motivated by an altogether different worldview. It is a nationalism rooted in racist and neo-pagan beliefs It’s not the Biblical morality that created the Western civilization he claims to champion. And that is the thing we must focus on. All of us, both Left and Right. The immediate reaction of nearly everyone to a horrible massacre like this one is to jump into our usual foxholes.The Left would like to weaponize it to take down Trump, because taking down Trump is the only thing they care about. The Right would like to turn that effort back on the Left. Neither seems “woke” to the fact that we have a deadly new player on the scene, who hates what left and right share. We saw it in Norway, when Breivik committed that massacre. We saw it in Pittsburgh and now in New Zealand. And we will see it again. And again. We need to understand what it is and how to stop it. We need to know way more about this movement than simply that it is not Christian. It hates Christianity itself. It hates expressions of Christianity, like the pro-life cause. We need to know that it is not the Christian right. Indeed, it is what rises up when the Christianity declines. Why do I say that? The new pagan nationalists claim to defend Western Civilization. But theirs is a defense born of ignorance and hatred. Ignorance of the Christian roots of that civilization and hatred of the Christianity that has sustained it. The true defenders of the West, writers like Russell Kirk and Christopher Dawson, reminded the modern world that Western Civilization is rooted in the Bible. Among other things, it depends on Judeo-Christianity’s unique understanding of human worth and dignity. (See this article for a secular scholar’s explanation. ) It withers when cut off from those roots, as it has been for many decades. That is, unfortunately, what we now face. The West has long been threatened by radical secularism from within. The secularists thought they could eject Christianity’s God while keeping its morality, including its understanding of human dignity. They were wrong. They didn’t replace Christianity with something as solid. Now something else is rising up to fill the empty place secularism created. Not secularism, but a new paganism. This new paganism will be as bad as every other enemy of the Gospel. Or perhaps worse, since it claims to champion a Christian achievement, Western civilization, by replacing Christ with the fascisms our grandparents fought to defeat. In place of Christianity’s belief in human dignity, the new paganism puts up nationality and race and violence. Christians must redouble our efforts to restore the civilization that was founded by the faith. The real Western Civilization, not the emptied out version of modern secularism or the perverted version of the new pagans. We must remind that civilization of its roots. And we must quadruple our efforts to bring people to know the Christ upon whom everything, including our civilization, depends. It is the only way to turn back the rise of this new enemy.